Eric and Bo have travelled extensively over many years and know that the planning done prior to departure is vital if any trip is to be a success. Some travellers take great delight in poring over maps, guide books and the myriad of online travel websites. Others like to put themselves completely in the hands of a tour planner who has the experience, expertise and local knowledge to ensure a perfect itinerary with minimum stress. Here at Scotland Your Way, we appreciate the independent spirit, but also understand how overwhelming it can be when faced with a seemingly endless array of websites, books and brochures. In the past we have found it helpful to chat to friends who live in, or know about, an area we planned to visit. This can be invaluable - but not always possible. So, if you are planning a trip here, why not think of us as 'your friends in Scotland' and let us help? As with all our services, we put you in charge and offer as much - or as little - input as you wish. It may be that you would just like recommendations for restaurants, activities, routes or accommodation. Alternatively, you may prefer that we work with you to plan your whole trip. Whatever your needs, our aim will be to ensure that you have the best possible experience when visiting our beautiful country and we will do whatever you require to make that happen. The options are as varied as our visitors, so please contact us for more information and to discuss how we might be able to help. Take your rod and sample some of the wildest, most relaxing and enjoyable fly fishing imaginable. Eric will be delighted to offer advice and tales of the 'one that got away'! 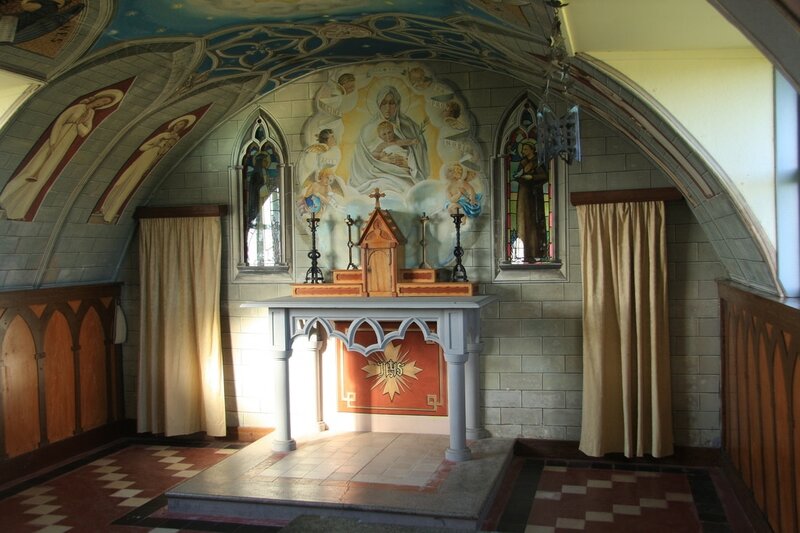 Head north, take the ferry (or fly) and experience the amazing history and culture of Orkney including the fascinating Italian Chapel constructed by PoWs during WW2.